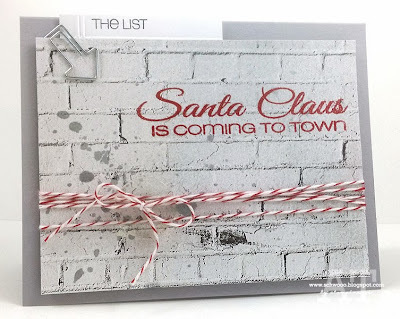 I played with the Naughty or Nice stamp set, one of my faves. Considering the amount of pie I've eaten the last two days, I definitely fall into the naughty category! 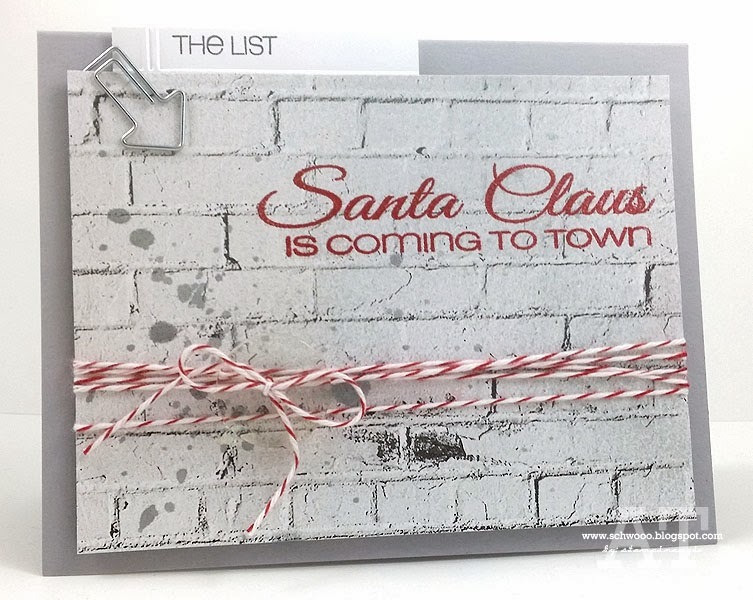 I embossed that great sentiment in red and splashed some Heidi Swapp Tinsel Color Shine on it. The patterned paper is from Studio Calico. Doesn't it make you think of Santa coming down the chimney?! I was inspired by the Cardabilities Sketch #88. The top tab worked out well for a removable "list"...you know he's checking it twice, right?! I hope your holiday card production is coming along better than mine, yikes! 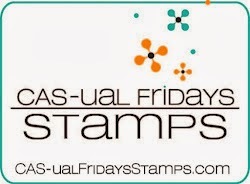 If you need some inspiration, head over to CAS-ual Fridays Stamps to check out Michele's great holiday sets! 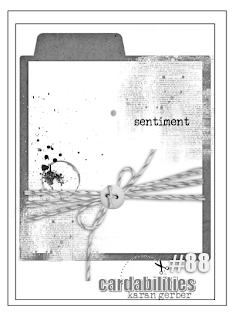 Cardstock: SU Smoky Slate, brick paper Studio Calico Cuppa Card Kit. Accessories: Heat Gun, Cherry Cobbler Embossing Powder & Baker's Twine, SU Hung Up Cute Clips, Clear Button, The Paper Studio Embossing Folder, Big Shot. Love this card!! 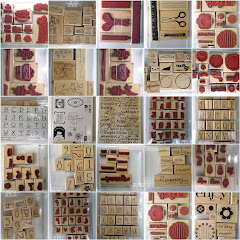 Makes me want these stamps, and HOW!---and now too LOL!! !